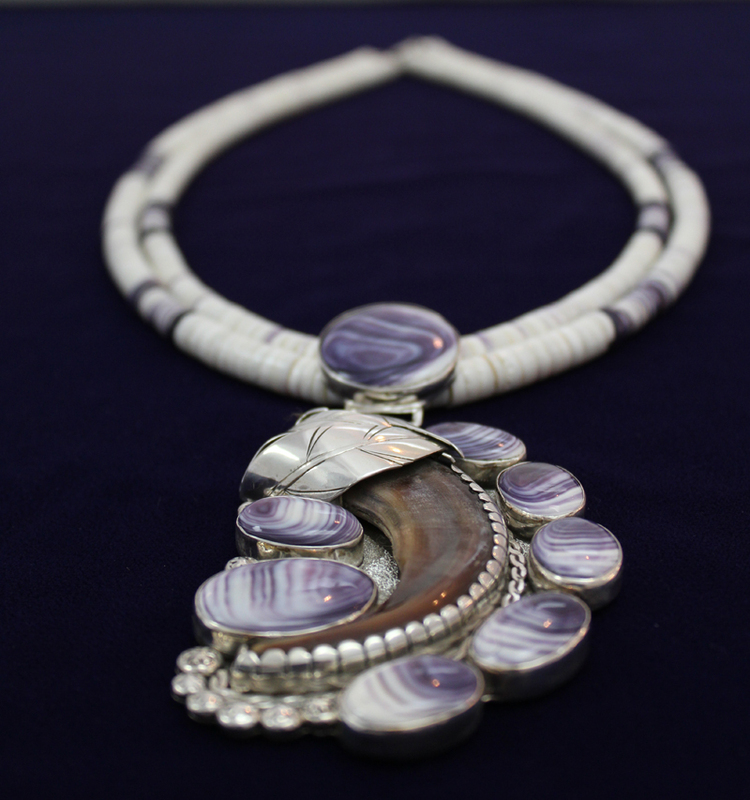 Handcrafted by Cherokee Silversmith General B. 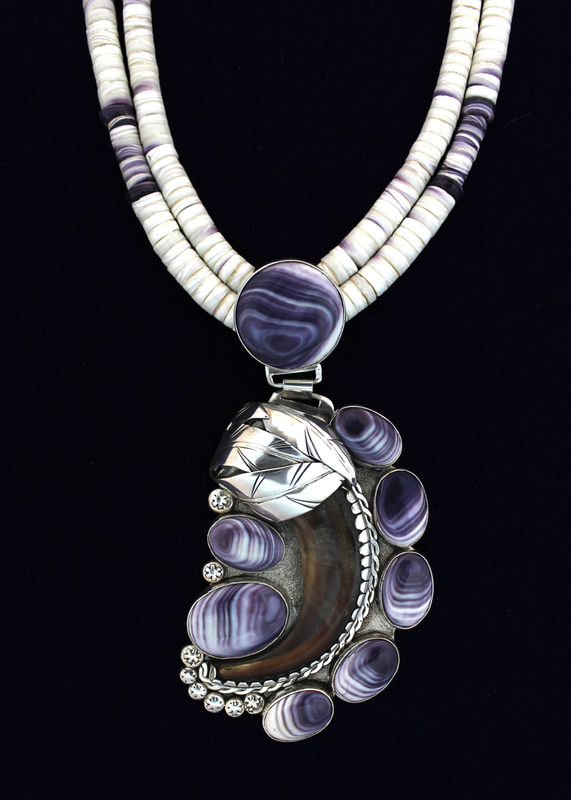 Grant, this amazing one-of-a-kind Wampum necklace is crafted with a genuine Grizzly Claw set and surrounded in a Sterling Silver design. 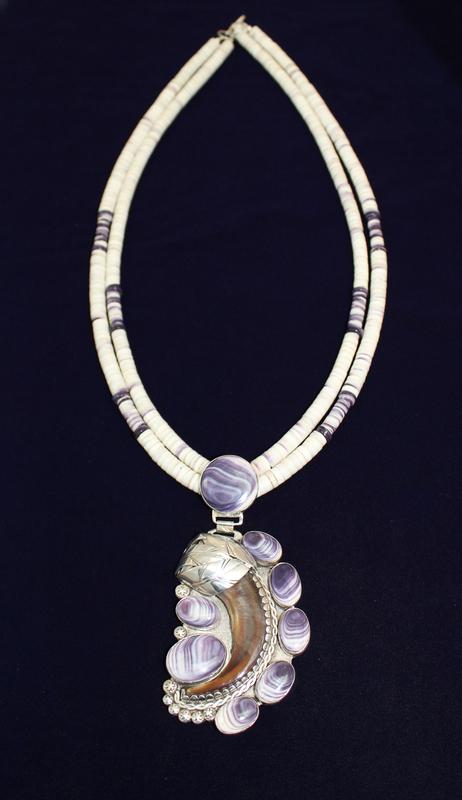 Every single bead in this Wampum necklace is hand cut and shaped into a flawless and homogeneous flowing string of Wampum. 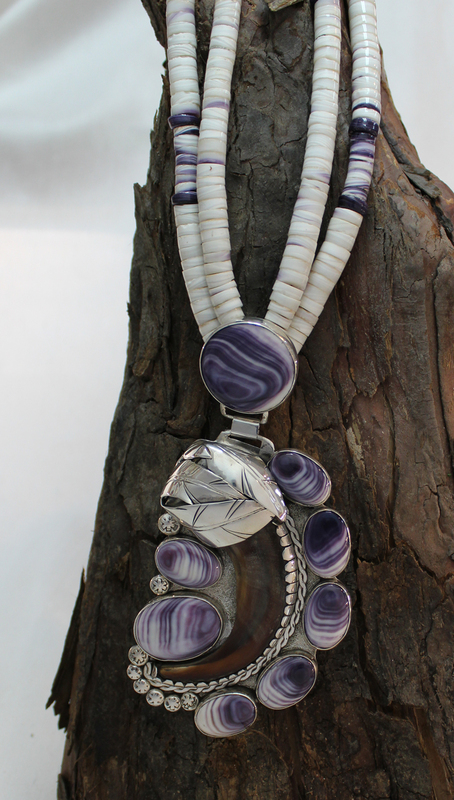 Featuring eight handcut Wampum pendants within the necklace.